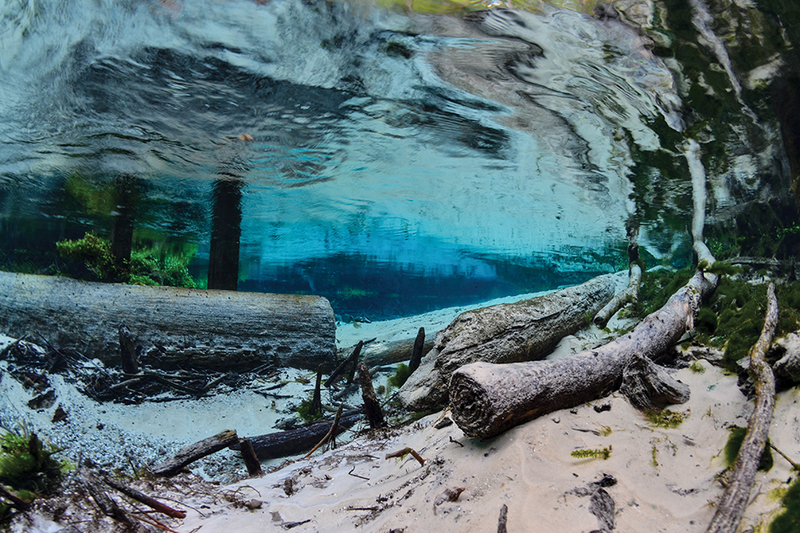 On my first visit to Ichetucknee Springs State Park, just outside Gainesville, I stood at the edge of the spring and gazed down, down, down into the depths of the water. The water was as clear as glass—clearer, really. It was so crystalline, I could see a small freshwater turtle scooting across the sandy bottom of the spring, and it was as if it were swimming through air. I could see every detail of its shell. I stared, amazed, until I felt as if I were about to fall headlong into the water. At that point, before I joined the turtle, I backed away. Big springs like Ichetucknee that gush out a lot of water are called “first magnitude” springs. Florida has more of them than any other place in the world—more than Yellowstone, more even than New Zealand’s famed Rotorua. Each one is a window into where our drinking water comes from. Down to a sunless sea . . . Peer into the “fast thick pants” of a Florida spring and you’re looking at our drinking water. Take a close look into the chasm where the water comes bubbling out, and you’re staring down into the deepest, darkest recesses of the earth—“caverns measureless to man.” You’re also staring at something ancient, because some of the freshwater that pours out has been down there for centuries, chilling. That water gurgling up is a cool 66 to 75 degrees. Take a dip in a Florida spring in the heat of the summer and be prepared for a shock. 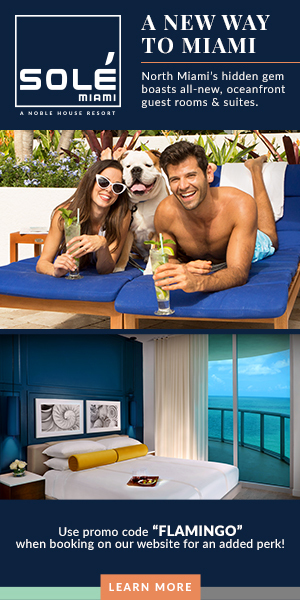 Drop in during the winter chill and you can luxuriate in the “tepid” waters. That relative warmth is why so many manatees, seeking refuge from the cold, spend part of the winter in the state’s springs. They crowd into Kings Bay and Three Sisters Spring in Crystal River and Blue Spring in Orange City, piling up like puppies on a hearth rug. Many Florida springs teem with light and life. You can see schools of mullet zooming along like a squadron of missiles in the air, gar thrusting their needled noses ahead of them like spears and largemouth bass loafing in the shade from overhanging trees. If you’re lucky, you might see an otter or two, or maybe even a beaver. 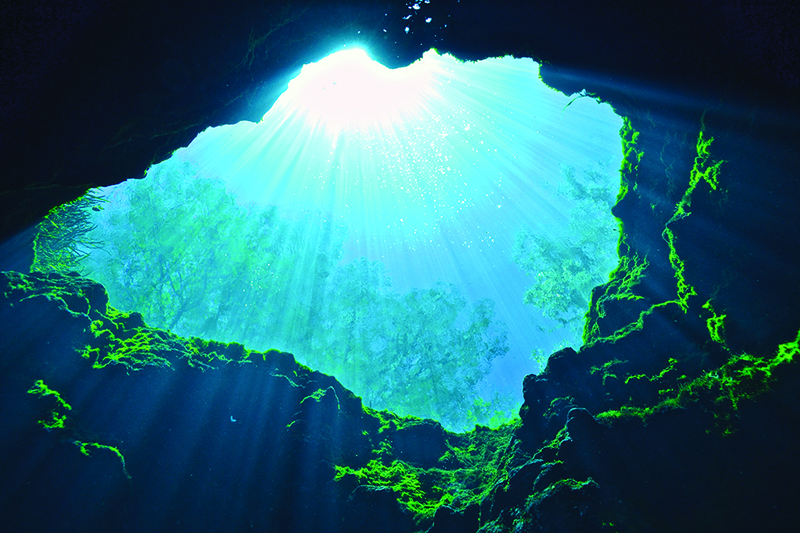 Wakulla Springs, south of Tallahassee, is known as one of the largest and deepest freshwater springs in the world. The list of its inhabitants ranges from the monstrous to the mystical. The cheesy 1954 horror movie The Creature from the Black Lagoon was filmed here, as were scenes from the Johnny Weissmuller Tarzan films of the 1940s and even Airport ‘77 starring Jack Lemmon. An old Seminole legend held that a colony of miniature people lived on the spring bottom, but by far the strangest denizen of the spring would have to be Henry the Pole-Vaulting Bass, a fish that would perform acrobatics upon command, at least according to the singing tour guides. Inside the Wakulla Springs lodge that Ball built in 1937 is Old Joe, the frightening 11-foot-2-inch gator who once ruled the spring, now stuffed and mounted like a trophy. Sadly, Ball himself is not on display in like fashion. Wakulla, like Ichetucknee and a host of other springs, now belongs to the people as part of the award-winning Florida State Parks system. Some used to be roadside attractions—Silver Springs, in Ocala, for instance, named for the gleaming sand so clearly visible on its bottom. Glass-bottom boats, a Silver Springs tradition, still cruise around with tourists, allowing them to peer down into the flowing water in amazement. Newton Perry was a heavyset man with curly hair and a tinkerer’s eternal curiosity. He had been a Navy frogman during World War II. After the war he bought Weeki Wachee Springs, where he set up a system for breathing underwater using hidden air tubes. Perry had a plan for those secret air hoses. He built a theater with glass windows looking into the heart of the spring. Then he hired nubile young women in bathing suits to swim around waving at the audience and occasionally slurping in a bit of oxygen from the hoses. The water was so clear that watching the show was like peering into a strange dreamscape where weightless beauties performed a languorous ballet. To promote the attraction, Perry snapped photos of his cast in all sorts of unlikely underwater poses: having a picnic, hanging out with an enormous seahorse, hugging Santa. Then he sent the photos to newspapers around the country, which gladly gave him free publicity. Eventually Perry’s swimmers donned mermaid costumes, and a kitschy tradition was born. Toward the end of the century, though, profits from the mermaid shows began tailing off, so to speak. By 2008, the place was on the verge of closing. Instead, the state park system assumed control, which put the mermaids on the Florida Park Service payroll and led to some interesting conversations about how to justify the taxpayers funding such supplies as bikini tops and waterproof makeup. Then an old friend from her high school days came for a visit and suggested renting snorkel gear and exploring Ginnie Springs, 40 minutes outside Gainesville. After just one splash, Tolbert was enchanted. “What a wildly different world!” she says. Springs were Florida’s first tourist attraction, drawing visitors who believed that water burbling from beneath the earth’s surface must have healing properties. In the early 1900s, so many well-heeled tourists seeking cures for rheumatism, indigestion, dandruff, insomnia and a slew of other ailments flooded the little town of White Springs, north of Gainesville, that 13 hotels and a railroad line were created to cater to their desires. Among the visitors: presidents Teddy Roosevelt and William Howard Taft. The owner of the mineral spring built a four-story “spring house” around it to give visitors more access to health treatments. It’s gone now, all gone—not because the symptoms disappeared but because the spring did. All that’s left is the spring house, standing empty and silent, because the water dried up. In the early 1900s, Kissingen Spring was a popular gathering spot for Polk County locals. Families picnicked by its edge, and churches baptized the newly converted in its waters. Then, in the 1950s, the spring abruptly disappeared. A nearby phosphate mine had slurped up so much water from the aquifer that the spring lost its flow. Others say the citrus industry was responsible. About the same time, Worthington Springs stopped flowing. At the time, the disappearance of Kissingen and Worthington seemed like an oddity, something that couldn’t happen again. But in the last 20-plus years, it’s happened over and over, in White Springs and other places too. The flows have slowed, in some cases stopping entirely or even going backward as the pressure driving the water upward drops to the point that it’s reversed. The culprit, say experts, is over-pumping of the water in the aquifer, drawn out from underground by the wells dug to irrigate all those lawns and farms and golf courses on the surface. 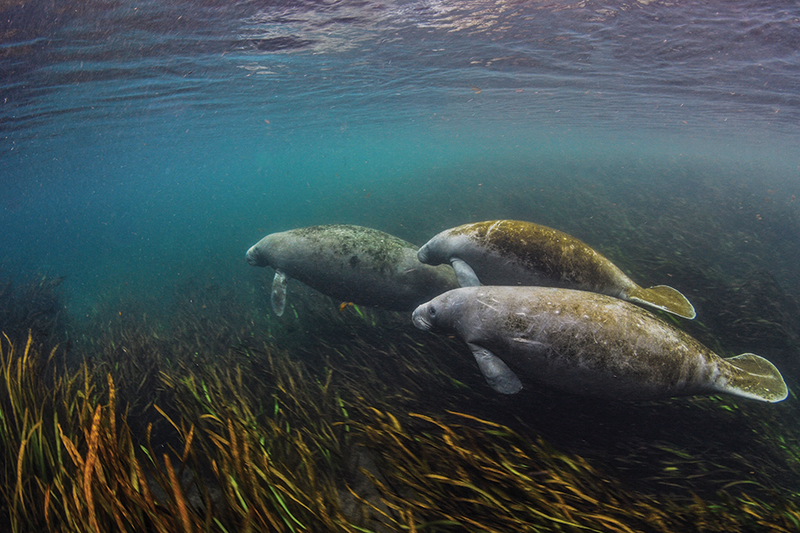 When Jeb Bush was governor of Florida from 1999 to 2007, he launched an initiative to save the springs. One result was a 2009 report issued by the Florida Geological Survey documenting the declining flows and increasing pollution of the springs. A committee set up by Bush of springs experts and advocates from around the state made a host of recommendations for dealing with the problems. But Governor Rick Scott, determined to cut budgets and taxes, pulled the plug on the initiative shortly after he took office in 2011. So far, the legislature has adopted none of the suggestions. In 2012, environmental advocates collected 15,000 signatures on a petition demanding that the state do more to try to revive the dying springs. Legislative leaders failed to act in 2012, and stumbled in 2013, 2014 and 2015 in trying to include springs salvation in a sweeping rewrite of Florida water policy. The new policy, passed at last in 2016 and signed by Governor Scott, delighted industry and agriculture. Springs advocates were less than thrilled. To Bob Knight, Ph.D., director of the Howard T. Odum Florida Springs Institute in High Springs, a scientist who has spent a lifetime exploring the state’s springs, the new water policy is full of “all the same stuff that’s not working.” Despite many promises made in Tallahassee, he says, none of the springs that are in trouble are any closer to revival. He is particularly scornful of the new law’s reliance on “best management practices.” Just because farmers sign a document promising to follow these practices to prevent pollution spill off from their land into the springs doesn’t mean they will, he points out. Meanwhile, the state is spending millions of tax dollars helping people who live near springs replace their leaky septic tanks with sewer lines, even as local governments issue still more permits in those same areas for new septic tanks. So, after all the hoopla, what’s the forecast for our once-clear springs? Well, they now suffer from both murky water and a murky future. Until state officials fix the first, the second will continue to get darker and darker.